When it comes to the top luxury brands in the world, only the highest level of service will do. That’s what we keep in mind at all times at Jerry Lambert Automotive, your top service shop for everything from tune-ups to full-scale repairs on luxurious Jaguar vehicles. Jaguar, which was founded in Great Britain over 90 years ago, immediately began making a mark on the luxury vehicle world. They quickly spread to other areas of the world, making a big mark in the United States based on a unique style and strong craftsmanship. Over the years, their modern vision for vehicles took shape – stylish and sleek, with a high level of engine performance under the hood. At Jerry Lambert, we have the tools needed to keep your Jaguar in the tip-top shape you require. We only employ elite technicians with current ASE-certifications, and our entire shop’s NAPA certification also puts us in a great position to serve you. Our mechanics have seen every Jaguar model on the market, including the XJ, XK, XF and all F-Type models, meaning there’s no chance we ever see an issue we haven’t dealt with or can’t handle for you. It’s not just our mechanical quality that keeps our clients coming back year after year, however. 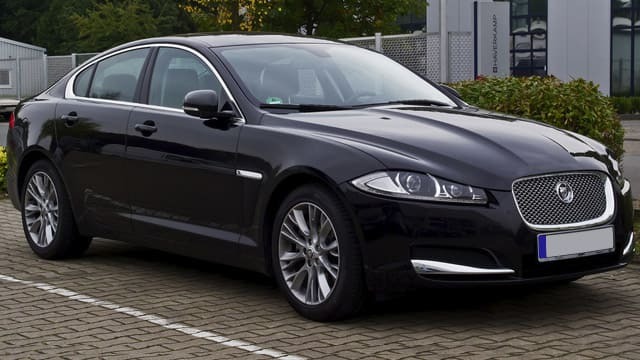 It’s also our high standard of customer service, which includes prioritizing your comfort while offering you transparent updates on the progress of your Jaguar service. You never have to worry about seeing a surprising costly repair on your bill when it comes to checkout time – our technicians will only make changes or repairs once you’ve given the go-ahead. This kind of transparency and service is why we’re a consistent A+ in the Better Business Bureau rating system. So for a fine vehicle like Jaguar, come to the finest mechanic available. Call us to schedule an appointment today, or drop by our convenient 3300 South location servicing clients from Salt Lake City, West Valley City, Riverton and all surrounding areas.